Ideal for maintaining RV, boat, car and ATV batteries. 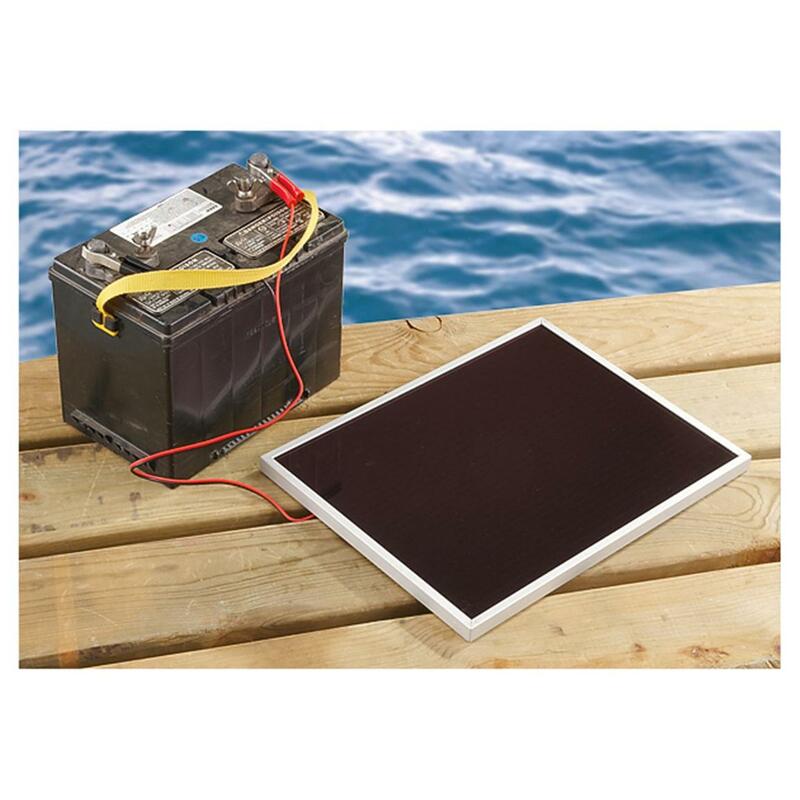 15.25" x 12.25" x 0.75"
Keep your batteries juiced up and ready for action with this Competition Solar 7W Solar Panel Battery Charger. Amorphous thin film solar panel technology maintains high performance even in cloudy, hazy and indirect light…so a cloudy day will never leave you without power. Simple to install, requires virtually no maintenance. Just hook it up to your battery and let it do its work. 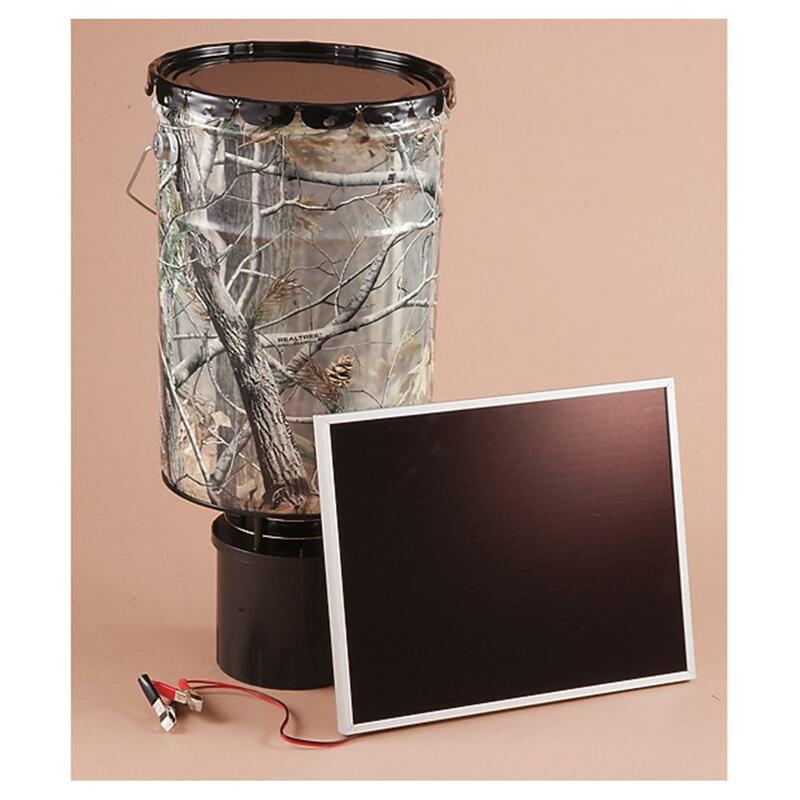 Dimensions: 15.25" x 12.25" x 0.75"
Competition Solar 7 Watt Amorphous Solar Panel 12 Volt Battery Charger is rated 4.7 out of 5 by 65. Rated 5 out of 5 by MH36093 from Works Well Maintaining Battery Using this on Jon boat in small pond with deep cycle marine battery and trolling motor. Boat is always ready for a trip around the pond. Battery clips do corrode, but replacements are available at auto parts stores. Rated 5 out of 5 by Charles from Great price, great panel! I use this panel to keep the battery charged on my feeder at the deer lease, it keeps the battery charged year around, no changing batteries for me! Rated 4 out of 5 by Boomer from Good price Love these small panels to keep batteries charged and ready to go. Rated 4 out of 5 by Shannon from Priced right. 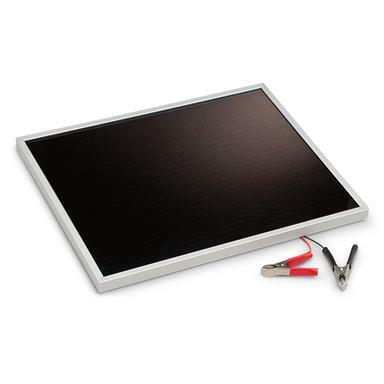 Good price for a starter panel.Reasonable charge time. Rated 5 out of 5 by Kevin B from Works very well I bought this to keep on my boat to keep the battery up. Since I park my boat in an area that's shaded most of the day, I was concerned that it wouldn't get enough light to keep the batteries charged. Before I hooked it up, I set it on the boat and checked it with a meter. I was pleased to see I was getting just over 20 volts! This will work fine for my purposes. Rated 5 out of 5 by Ron QRP from Two Big Uses My son's Ford GT alarm system would run the battery down in about three to four days so it would not start. Required a lot of disconnecting and recharging plus button on alarm trick. With panel installed for three years..never fails to start even after setting for a month. Panel on package shelf, gets sun most of the day. Second use, keeps my 12V 7 AH battery topped off thru my home brew charge circuit. Battery on ham radio and its always ready to go, ICOM 703. Have bought 4 panels total for other uses. Never be surprised by a dead battery! Keep your stored ATV, lawn tractor or boat juiced.